London Hotels, Guest houses and bed & breakfast accommodation in around near Mayfair all with real-time, confirmed online reservations. 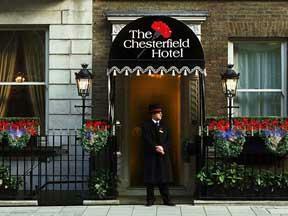 London Hotels in Mayfair offering cheap rates for business, leisure, family holidays, vacations. 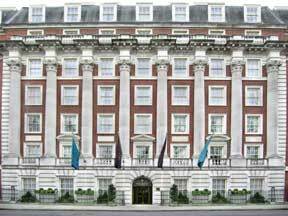 Mayfair is an area in the City of Westminster in London. Mayfair is roughly bordered by Hyde Park to the west, Oxford Street to the north, Green Park to the south and Regent Street to the east. 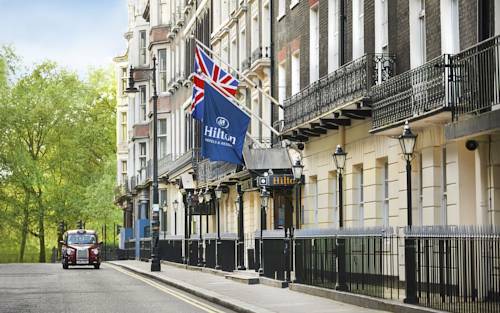 There is still a substantial amount of residential property, as well as some exclusive shopping, London's largest concentration of luxury hotels and many fine restaurants. Buildings in Mayfair include the United States embassy in Grosvenor Square, the Royal Academy of Arts, the Grosvenor House Hotel and Claridge's. 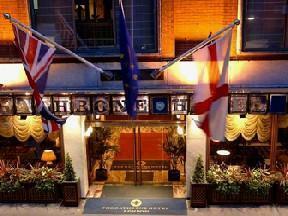 One of London's premier four star deluxe properties in the heart of exclusive Mayfair. Combining the elegant living standards of a gracious past with great service.